on the other side of Lake Geneva. 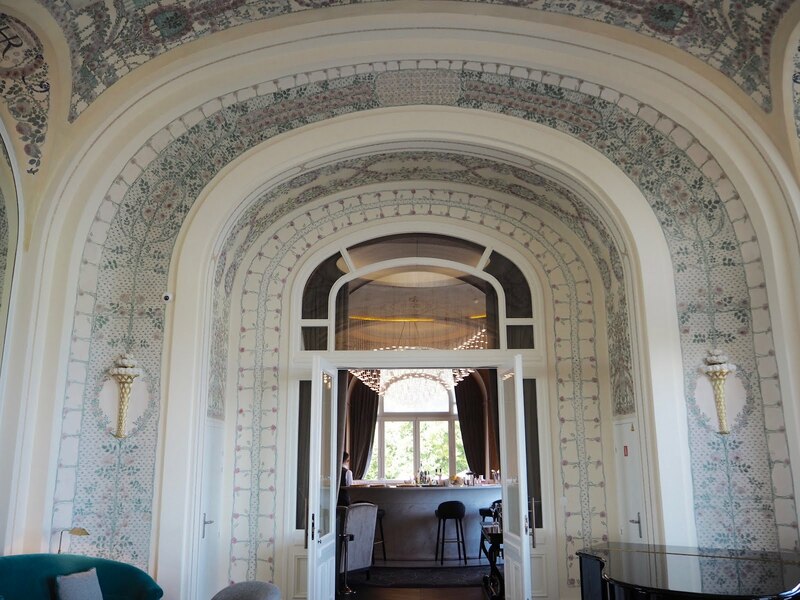 Staying at the Hotel Royal Evian, you will walk in the footsteps of historical figures: here, the Sultan of Zanzibar met the Maharaja of Kapurthala and Queen Amélie of Portugal. The Shah of Persia visited before King Faisal I, Sovereign of Iraq. A great lover of the place, the Aga Khan reserved an honorary apartment. It is fair to say that the most prominent personalities of their era forged a legend of this enchanting holiday spot. Commissioned by the Evian Mineral Water Company in the very beginning of the 20th century, the hotel’s name comes from one of the prestigious guests it was meant to welcome upon its opening: King Edward VII of England. Although the King actually never got a chance to stay at the palace, its name prevailed, like a good sign for the destiny that would follow. 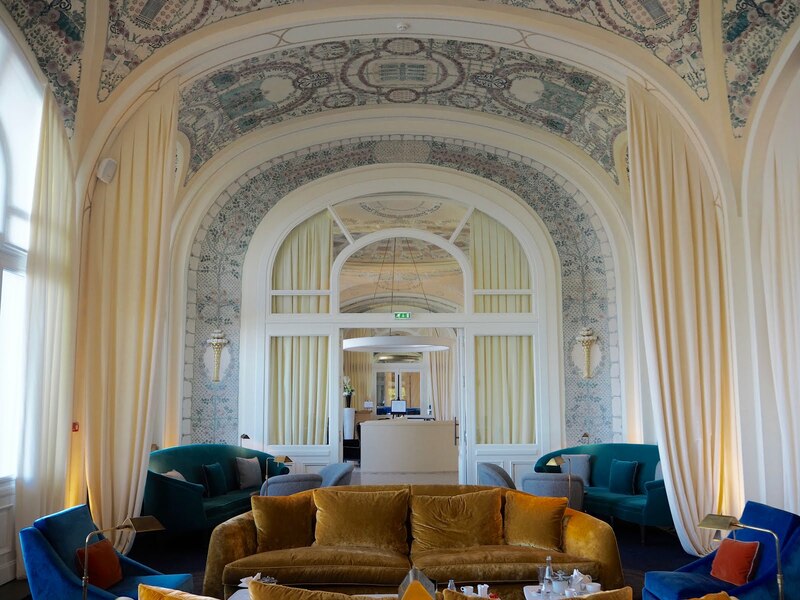 Originally designed by the architect Jean-Albert Hébrard, the Hotel Royal prevails like a huge white steam ship anchored in the hills of Lake Geneva, blending perfectly into its setting at the heart of magnificent 47-acre grounds. Its clean lines blend Art Nouveau and Art Deco styles. 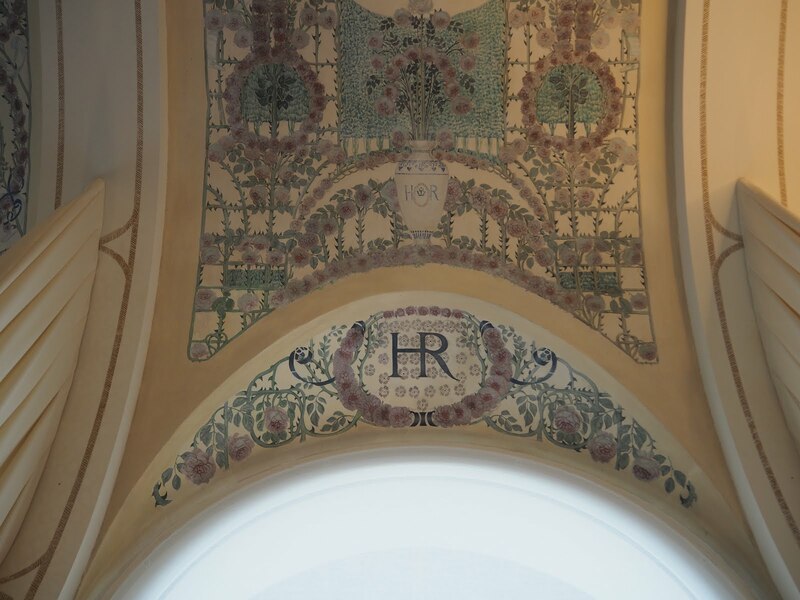 The vaults and rotunda of the communal areas are brightened with rustic frescos in water colours by Gustave Joules. The interior is also inspired by Baroque traditions evident in the vaulted ceilings, domes and rotundas. Semicircular balconies and detailed framework by workers from Tyrol contrast with the simplicity of the façade. If the edifice was to be described in two words, these would be splendour and abundance. 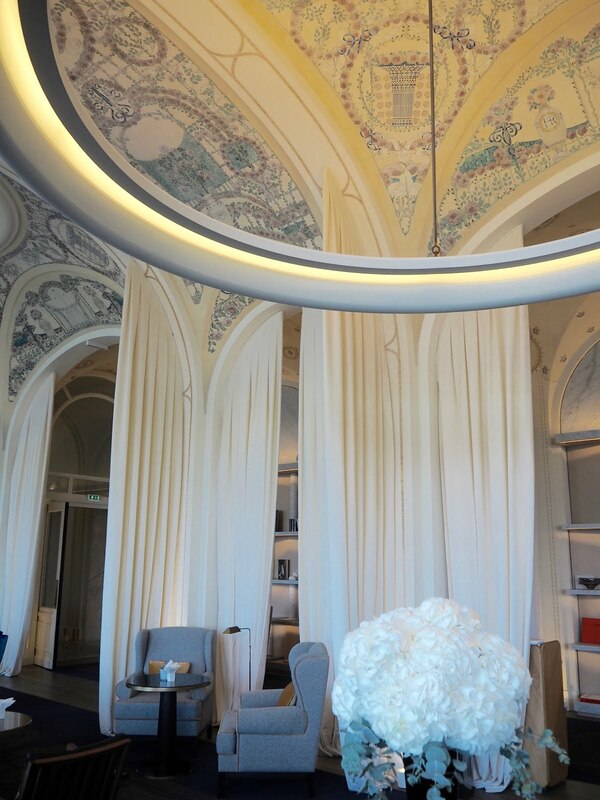 The hotel’s most recent renovations were conducted by interior designer François Champsaur and head architect of French historic monuments François Chatillon, involving jaw-dropping figures: 4 000 m2 of carpet, 3 400 m2 of marble and 82 000 tiles; 1 500 graphic and photographic works of art, 400 black and white photos from renowned photographers; for a total of 118 rooms, 25 Junior Suites and Suites, and 7 new Exclusive Suites on the hotel’s 6th floor. Ceylon lemonwood – specially designed for their original setting, has been restored. On the sixth floor, hitherto intended for meetings and conferences, 7 luxurious private suites have been created, with views of the lake and Alps that reach new heights. 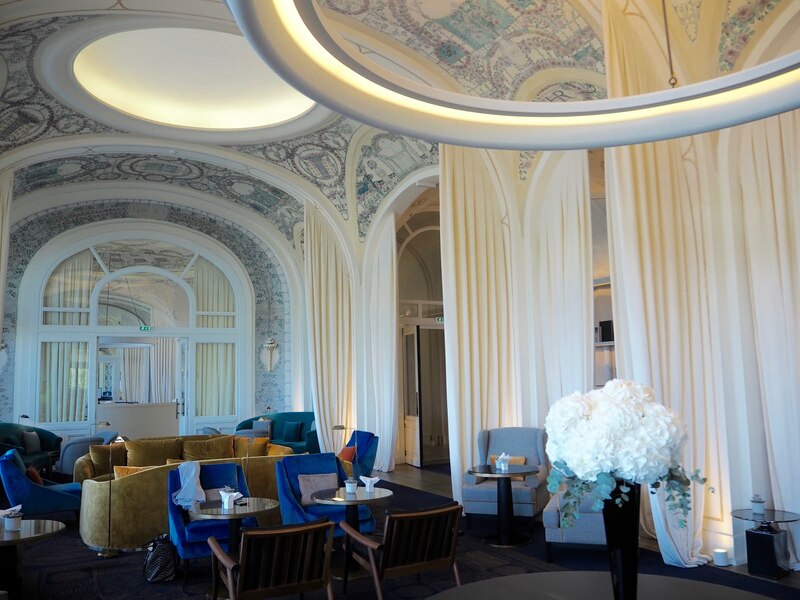 In the Les Fresques restaurant, the gentle lines of the blue and green velvet armchairs and the lighting from the brass chandeliers enhance the curved strokes of the frescos, offering a new interpretation of the place’s magic. 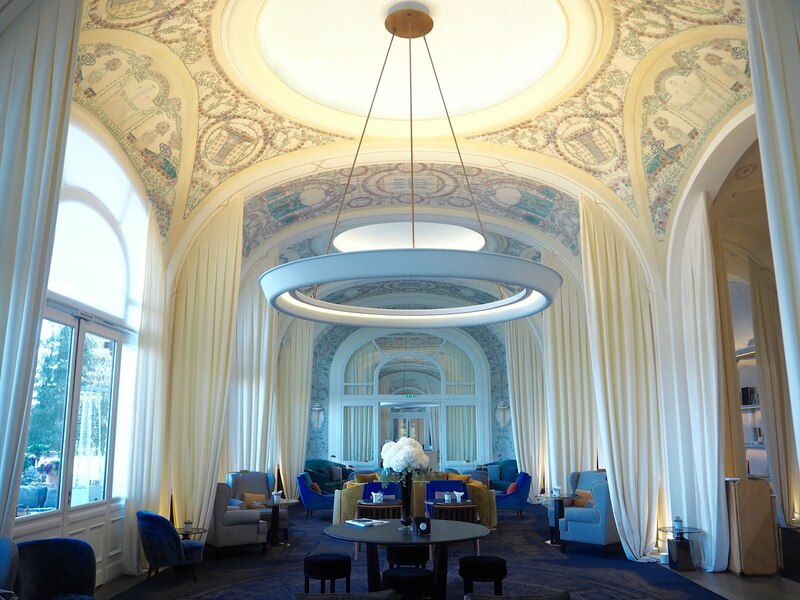 The Hotel Royal Evian has reopened in 2015.